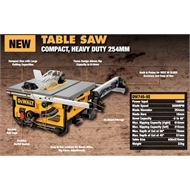 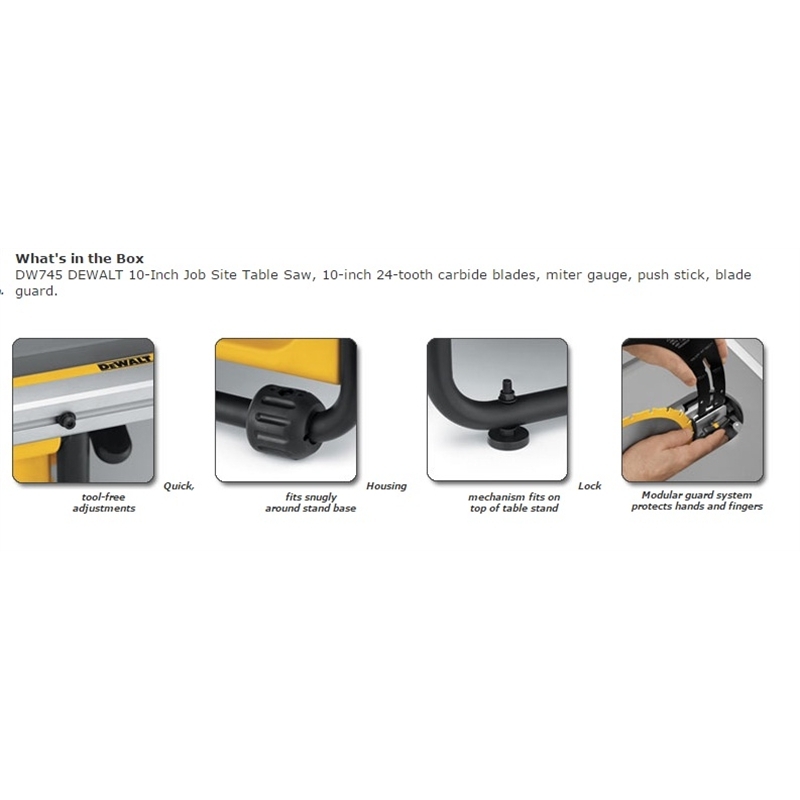 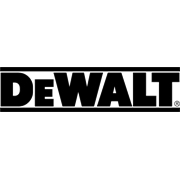 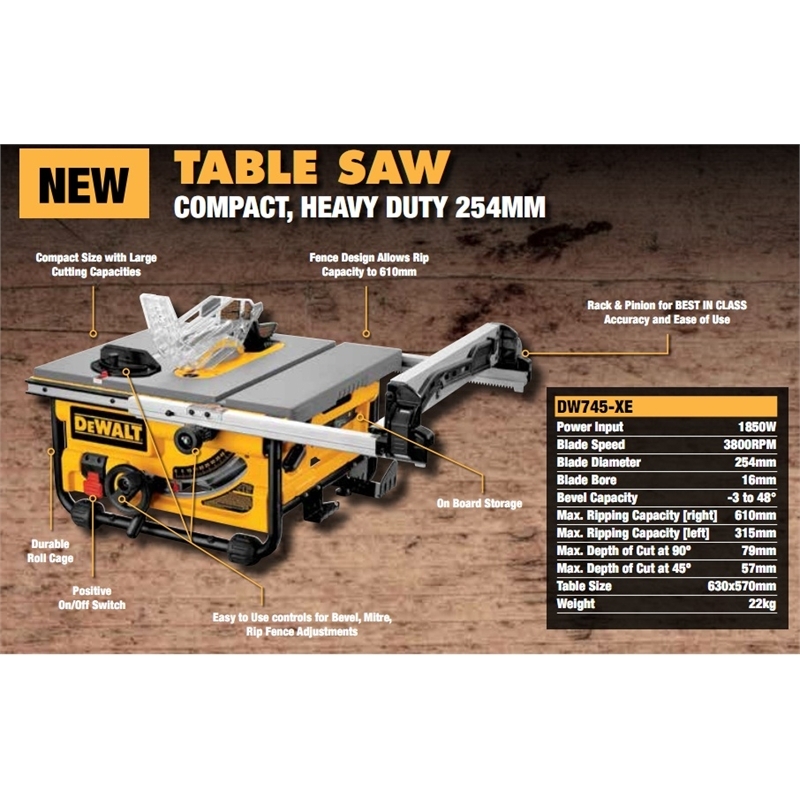 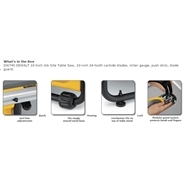 The versatile DeWALT 10-Inch Jobsite Table Saw features the site-pro modular guarding system for application-specific setups that result in quick, accurate cuts. 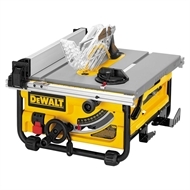 It pairs a portable design with a powerful 1850W motor and large 20-inch rip capacity. 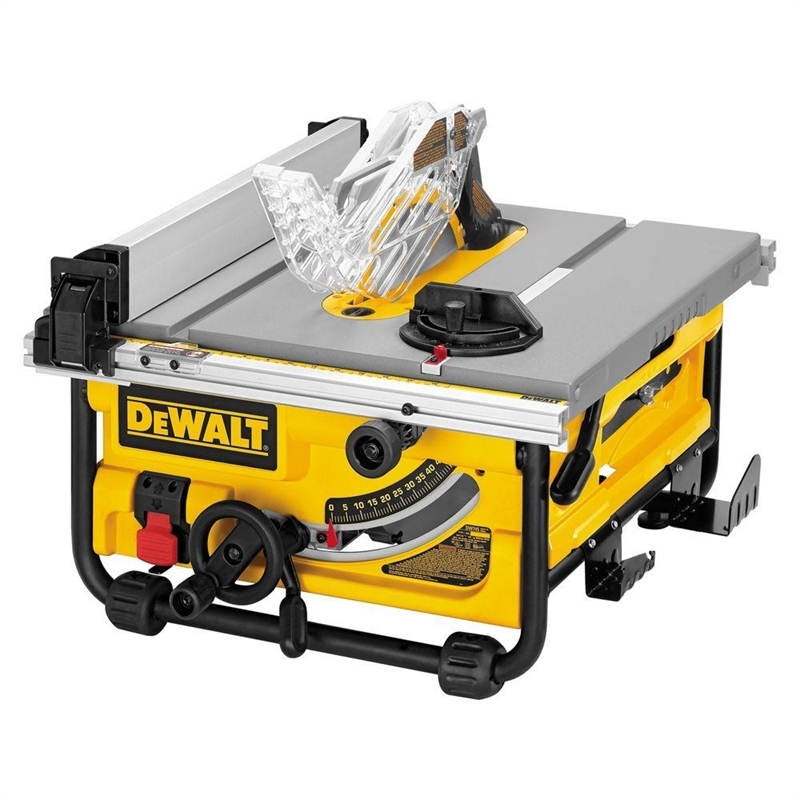 This saw comes with blade guards, mitre gauge, push stick, and a dependable 10-inch, 24-tooth carbide blade to get your project started right away.